Gorgeous home in SW Bend in River Canyon Estates. Fully loaded: 4 bedrooms, great room, bonus room, den/formal living, office,3 full baths, all this and a 3 car tandem garage. Ideal setting across from open space/park and just a stone's throw away from the river walking trail. A chef's delight in this well-appointed kitchen with stainless steel appliances, massive island, solid quartz counter tops, and back splash. Stately Master suite with large luxury master bath. Ample storage throughout. Enjoy evenings under the large ponderosas in your hot tub or relaxing by the fireplace in the great room. Amenities include pool, tennis, 3 parks and clubhouse. I was searching for a Property and found this listing (MLS #201902430). 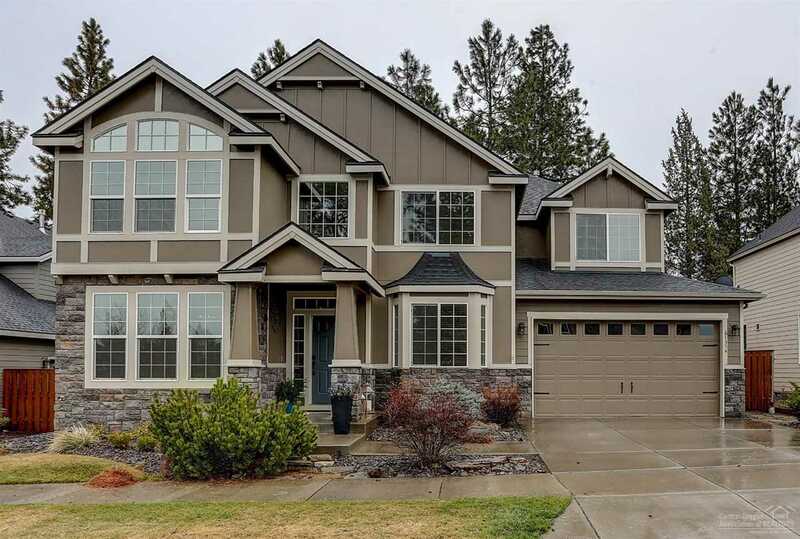 I would like to schedule a showing for 61354 Huckleberry Place Bend, OR 97702. Thank you! I was searching for a Property and found this listing (MLS #201902430). Please send me more information regarding 61354 Huckleberry Place Bend, OR 97702. Thank you!